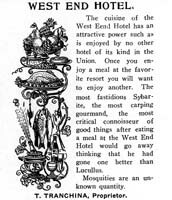 In January we visited the New Orleans Elks' Home as pictured in the March 1907 number of the Southern Buck, the magazine of the local Elks organization. 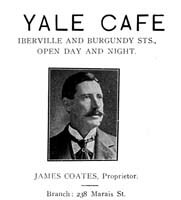 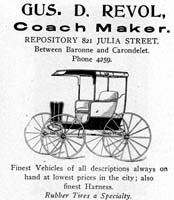 This month we return to that publication for a selection of the advertisements that it carried one hundred years ago. 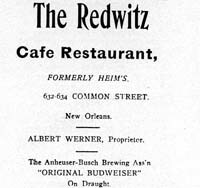 Those ads provide us with a look at some of the eating and drinking establishments that were popular with middle class New Orleans businessmen of the day. 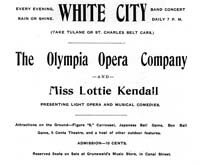 Also included are advertisements for several places of amusement and a variety of goods and services available in the Crescent City. 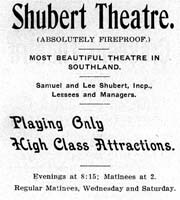 The Southern Buck is a treasure trove of sorts for information about what was going on in New Orleans around the turn of the twentieth century. 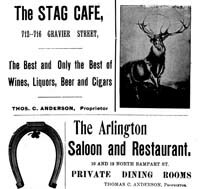 We'll probably be paying one more visit to its pages before the end of 2007.